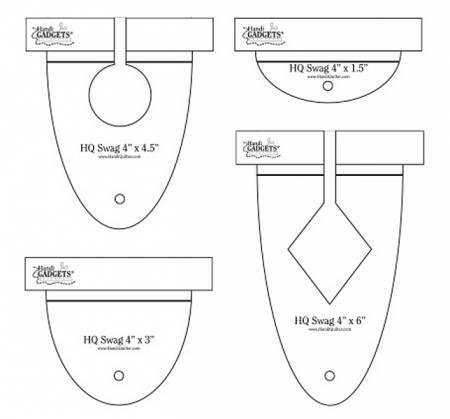 Set of four nesting swag rulers: 4in x 1.5in, 4in x 3in, 4in x 4.5in, 4in x 6in. BONUS: Circle and Diamond designs. Swag Templates for quilted swags in borders. Packaging includes instructions for use, safety tips and design ideas. Template is 1/4in thick.